When Jesse Shwayder founded Samsonite in 1910, early travel was reserved for only an exclusive few, those who had the means to see the world. 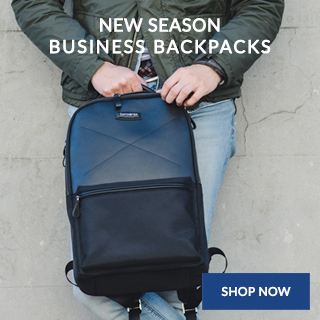 As one of the original brands in travel, Samsonite has continued to identify trends and interpret travellers’ needs to infuse innovation and new ideas into travel, re-igniting the sophisticated and special experience of the past. Today, Samsonite continues to lead the luggage category with those same core principles, further expanding Shwayder's vision globally with design and innovation into product categories and consumer targets. Samsonite's tagline - 'Life's a Journey' - embodies the brand's transformation and future, symbolising the role Samsonite has in the multi-faceted lives of travellers. 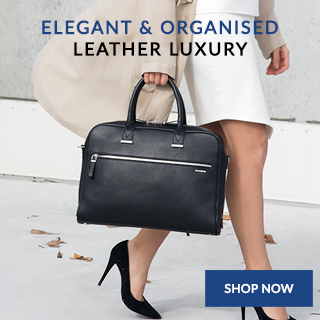 SAMSONITE GROUP IS ONE OF THE WORLD'S LARGEST AND MOST RECOGNISED DESIGNERS AND DISTRIBUTORS IN THE LUGGAGE INDUSTRY. With a rich heritage that includes nearly a century in business, Samsonite's tagline – 'Life's a Journey' – embodies the brand's belief and vision, symbolising the role Samsonite has in the multi-faceted lives of travellers. The Samsonite brand was born in 1910 when founder Jesse Shwayder began producing luggage for turn-of-the-century travellers who appreciated the Company's unique, durable and finely crafted products. As travel evolved into a mainstream activity, Samsonite continued to come up with a string of "firsts" including the first matching luggage sets, the first lightweight luggage and the first wheeled suitcases. Samsonite's ability to perceive and adapt to the changing needs of travellers has made the brand a leading authority for people on the move, throughout the years. Today, the global travel industry continues to grow, as Samsonite leads through innovative technologies, materials and design concepts that embody the same values on which Samsonite was founded – high quality, fine craftsmanship, exceptional reliability and enduring style. When Jesse Shwayder founded Samsonite in 1910, he had a vision of creating luggage of the finest quality and craftsmanship, able to withstand the perils of travel. He sought a name that would represent the strength and durability of his new cases. He chose one of his favourite heroes, the Biblical giant Samson, to represent these core values. Today, Samsonite continues to lead the luggage category with those same core principles, further expanding Shwayder’s vision globally with an unprecedented foundation for the launch of new products that not only meet consumer’s needs, but their most aspirational wants and desires. In 1941, just before the United States went to war, Jesse Shwayder introduced a new style of luggage, Samsonite Streamlite®. 1955-58 introduces breakthrough lightweight products including Ultralite®, the first suitcase made of lightweight magnesium and ABS. In 1958, the introduction of Silhouette®, the most advanced luggage made up to that time, included a new, modern shape and was unique because its hardware was recessed to protect it from the banging, wear and tear that all luggage receives. 1967 the first polypropylene suitcase is launched with recessed locks for more streamlined appearance and function. 1969 saw the introduction of the new Saturn® suitcase, the first polypropylene case whose structure was fully supported by injection-moulded shells. This revolutionary design becomes the most widely accepted way to produce modern hardside luggage. 1990 saw the first suitcase with the 'piggyback' system - the first step towards the highly successful upright concept. 2004 four-wheel Spinner marketed, making travellers’ lives easier. 2005 Samsonite Black Label introduces X’Lite, built using an exclusive composite called Curv® - a unique and innovative material that is made using a patented process. 2006 Samsonite Black Label stores open in some of the world’s most influential and prestigious fashion capitals. 2007 Samsonite Black Label launches the design collaboration with one of the world’s most respected fashion designer, Alexander McQueen to create Samsonite Black Label by Alexander McQueen. World wide launch of Samsonite Business Collection collaboration with Sir Richard Branson fronting the advertising campaign; offering sophisticated travellers the opportunity to travel in style with Pro-DLX a, unique set of business pieces. 2008 Following the highly successful collaboration of Samsonite Black Label and Alexander McQueen, a futuristic looking silver limited edition version is unveiled exclusively at iconic fashion store 10 Corso Como - Milan, Italy. The technology behind the silver high shine offering, which has never been used before, adds a new dimension to the critically acclaimed collection. 2010 Samsonite celebrates 100 years in travel history with a bonus of Cosmolite winning the “Best of the Best 2010” award at the recent prestigious Red Dot Design 2010 held within Aalto – Theater, Essen, Germany. 2011 Samsonite gets listed on the Main Board of The Stock Exchange of Hong Kong Limited and was hailed as the Advertiser of the Year by Spikes Asia Awards. 2012 Samsonite scores again with 3 wins at Red Dot Design Award with new product introductions, Inova, Lithesphere and Firelite; proving yet again that the brand continues its tradition of combining notable style with the latest design technology. 2013 Samsonite re-created Cosmolite which is now even lighter, thanks to Curv Technology: for 55cm spinner only weigh 1.8kg. 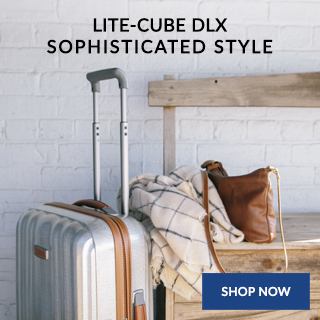 2014 Samsonite launched Lite-Locked: the pioneering light-weight collection, merging a three-point loking system with revolutionary Curv material. Lightness has never been so Secure and Security has never been so Light. 2015 Samsonite released B-Lite 3. One of Samsonite’s best-selling range, B-Lite 3 continues to evolve and reinvent itself. This iconic collection keeps its strong design DNA, combined with enhanced features, optimized volumes and more protection, but now even lighter than before.